After buying a controlling stake in Lamborghini in 1998 it wasn’t long before Audi was realising visions for its very own supercar - step forward the Gallardo-based R8. After buying a controlling stake in Lamborghini in 1998 it wasn’t long before Audi was realising visions for its very own supercar - step forward the Gallardo-based R8 in 2006. Sharing the Italian car’s engines and drivetrain it was instantly put on the same pedestal as Italy’s other supercars, and went on to win many an international magazine group test. No model has done so much for Audi’s image as the R8. 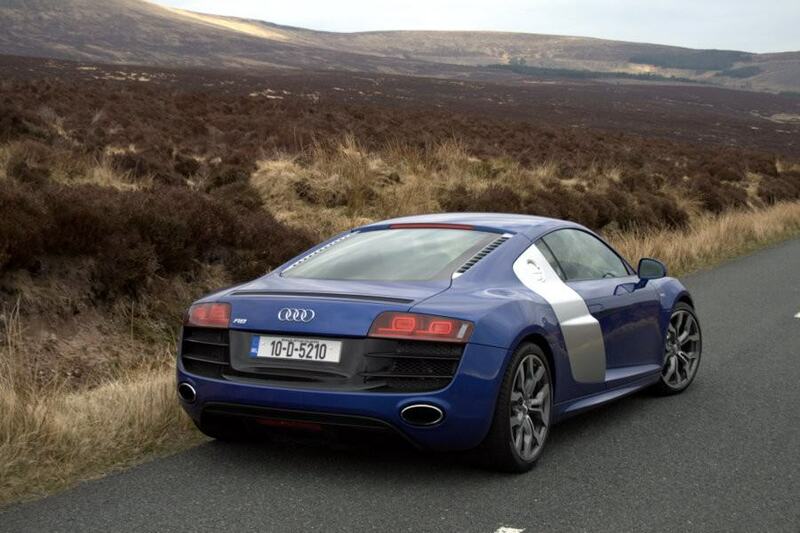 Initially the R8 was only available in one version, a coupé with a 4.2-litre V8 petrol engine. Although the raw figures - 420hp, 430Nm, 0-100km/h in 4.6 seconds and a top speed of 322km/h - were enough for some, this ‘entry-level’ model was soon augmented by an R8 with a 5.2-litre V10 engine. The V10 added another 95hp and 100Nm and the benchmark sprint time fell accordingly - to 3.7 seconds. All R8s are equipped with the firm’s quattro four-wheel drive system. Biased towards the rear the chassis offers lively reactions if requested by the driver but a safe and secure balance otherwise. Buyers can choose between the excellent six-speed manual gearbox - complete with Ferrari-esque open-gate and knurled metal lever - or the R-Tronic semi-auto. The latter is best avoided though, as, unlike the twin-clutch systems found in ‘lesser’ Audis, the R-Tronic in the R8 is needlessly slow-witted and not nearly as smooth as rival systems. There are no trim levels to choose from either, this being the pinnacle of the Audi range. However, the firm did make a limited number of GT models with lightweight materials that may pop up in the classifieds given time. We’d pick the V8 model, as though the V10 is marginally better the differences are minimal, and the former is much more widely available. You’ll also find more Coupés on the used market as the Spyder didn’t arrive until 2010. One thing we would urge you to seek out is the six-speed manual though, as its open gate change is infinitely preferable to the slow-witted and clumsy R-Tronic automatic. If you want a supercar that can turn heads as well as it handles the weekly shop then the R8 could just be the car for you. Exceptionally well-built, with a comfortable and usable interior (that manages to remain special) the R8 may be practical, but it’s the great engines and delightful chassis that are the icing on the cake.